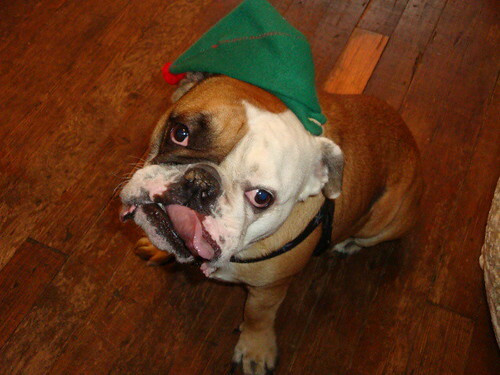 After seven years of helping people pamper their pets, Railey’s Leash & Treat (513 N. 36th St) is closing its doors on December 31. Updated 2:45 p.m.: A large water main broke along Leary Way this afternoon, slowing traffic through Fremont and spouting brown water and impacting pressure for many Ballard residents. Seattle Public Utilities says the break is under Leary Way and 39th St. (above). Crews have dug into the street to fix the break. Public Utilities told us there’s no estimated time to fix it, and one Ballard resident says they told her it will take a few hours, then a bit longer to flush out the brown water. If you’re seeing brown water, they recommend you avoid running hot water to minimize filling the hot water tank with turbid water. If you are washing clothes, it is better to stop the cycle while it is full and wait until clean water is available to finish. More information about brown water here. A group of local retailers are setting up a gently used shoe collection drive for Soles4Souls, a non-profit that provides footwear to people in need in more than 125 countries. During the month of December, you can drop off those shoes you’re not wearing at selected businesses, knowing that a victim of a natural disaster, or a person living in extreme poverty, will put them to good use. As a special incentive on Dec. 12, all participating locations will provide a 20% discount off a new pair of shoes upon donation. The Sneakery, 612 NW 65th St.
evo, 122 NW 36th St.
Other participating Seattle-area stores are GEMS Sneakershop, ian, RPS-Rock Paper Scissors, Sole Food, Upper Playground, and Zebra Club. 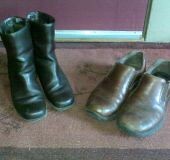 For more information and other locations and donation options, see souls4seattle.com and the national organization at giveshoes.org. Happy Thanksgiving! Here’s a list of a few happenings this holiday weekend. 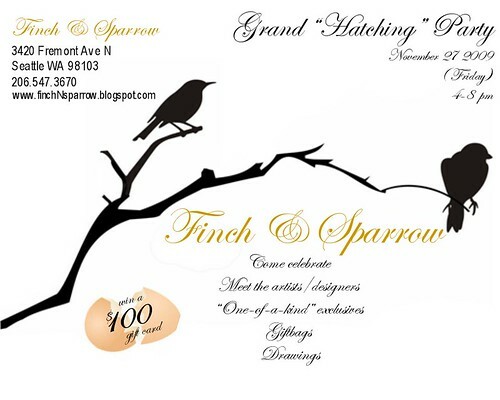 Finch & Sparrow (3420 Fremont Ave N) is throwing a “Grand Hatching Party” on Friday from 4-8 p.m. Shop local and meet all the local designers and artists the shop is working with. There will be wine, gift bags and a drawing for a $100 gift card. Get a preview of the annual Christmas Ship Festival on Saturday and Sunday and receive a discount to ride on the official Christmas Ship. Both nights will commemorate the new South Lake Union Park to the list of port stops. Saturday’s parade departs from South Lake Union Park (860 Terry Ave N) at 7 p.m. The Christmas Ship is sold out for that one, but there’s still space available on the parade boats. On Sunday, the ships depart from South Lake Union at 6 p.m. Opening night for this holiday tradition officially kicks off on Tuesday at Gas Works Park (2101 N. Northlake Way). More info and a full schedule can be found here. Joy Street Boutique (720 N. 35th St) closes its doors after Monday so while you’re out shopping this weekend, make sure to stop by and support the shop’s last days. All items are 50% off excluding jewelry. The remodel is complete. The product has been taste-tested. Now the wait is finally over. I just talked to owner Lance Brough and found out that Kylie’s Chicago Pizza (3601 Fremont Ave N, in the former Mad Pizza space) is opening its doors TONIGHT for dinner. Bear in mind that this is a soft opening as they continue to get things in order. For example, beer and wine won’t be available for another couple of weeks and the web site isn’t up yet, so please be patient. The inch-and-a-half thick pizza baked in a pan (available in 10″ or 12″ sizes) hopefully will be more than enough to keep your interest. Don’t worry, thin crust is available, too. 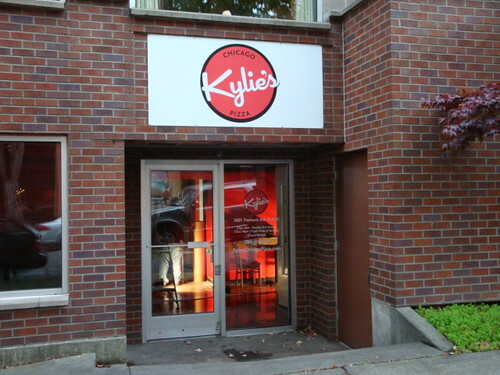 Kylie’s won’t be open tomorrow for Thanksgiving but they’ll resume business on Friday. After that, they’ll be open Tuesday through Sunday from 5 p.m. to 10 p.m. (11 p.m. on Fridays and Saturdays). 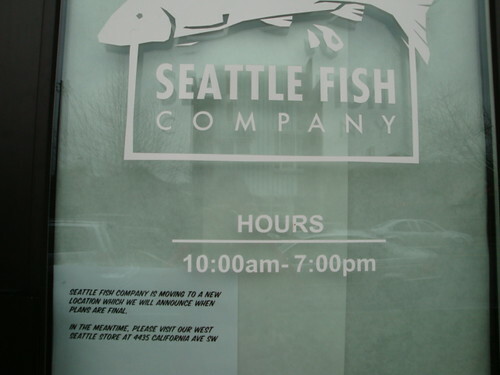 Seattle Fish Company is moving to a new location which we will announce when plans are final. Neighbors say the market, which ships fresh fish and seafood from around the world, quickly and quietly left about a week and a half ago. Calls left at the West Seattle store have not yet been returned. We’ll keep you posted if we hear anything more. While most people spend Thanksgiving eating all day, not everyone is quite as fortunate. That’s why certified trainers Corey McGee and Scott Rodriguez are giving all proceeds from a Thanksgiving Day workout to Northwest Harvest. The 50-minute class will focus on functional, “real-life” movements that are done as fun team challenges. Class begins at 9 a.m. this Thursday at The Fitness Lab (3410 Stone Way) and is open to the public. Suggested donation is $20 with 100% going to Northwest Harvest. 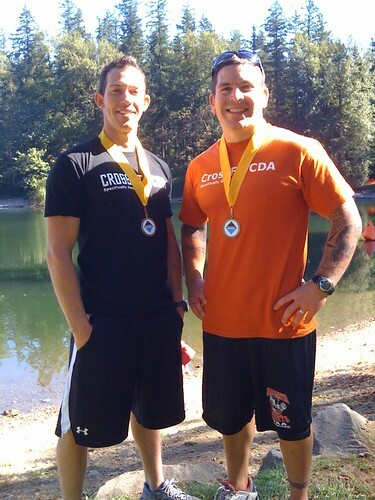 You can sign up in advance by emailing info@stonewaycrossfit.com or by calling Coach Corey at (206) 465-2727. Walk-ins are also accepted. 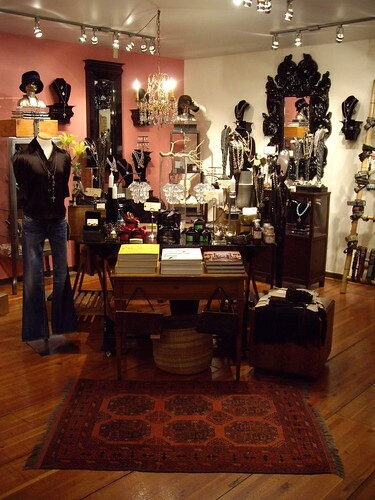 Joy Street Boutique (720 N. 35th St) is closing its doors on November 30. 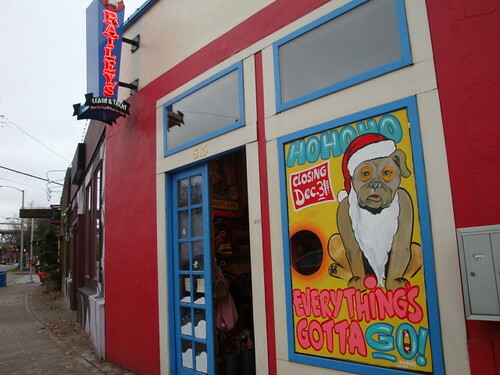 After that, owner Shannon Koszyk tells us they will be moving into a warehouse space around the corner and doing mostly wholesale business. She still plans to accommodate retail, but only by appointment by calling 206-547-0284. In the meantime, all merchandise is 50% off (excluding jewelry) at the store for the next week. Go to their website to see some of the selections. Early this morning, it was announced on Good Morning America Weekend that 5-month-old Marination Mobile won top honors in their Best Food Cart Challenge. The signature dish that did it was their spicy pork taco, which was tasted and approved by GMA Weekend host Ron Claiborne when he taped a segment at the truck on Wednesday. The segment aired Saturday morning and viewers had one day to vote. Click here to view this morning’s live announcement of the winner. The other finalists included Garden State (Portland, OR), Street Sweets (New York) and Local 647 (Delaplane, VA). 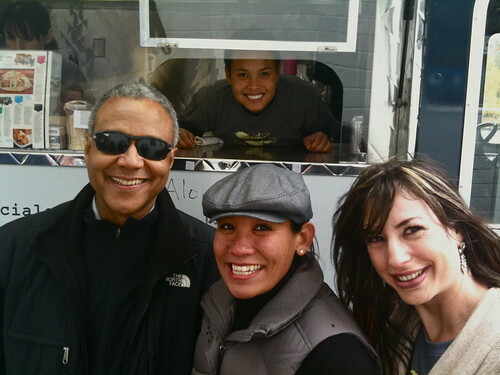 Marination can be found in Fremont at Soundspeed Scooters (132 N. Canal) every Wednesday from 11 a.m. to 2 p.m.
Marination Mobile is out to prove it’s the best meals on wheels in the country and they need your help TOMORROW (Saturday) to win. The Hawaiian-Korean curb kitchen is one of four finalists in Good Morning America Weekend’s “Best Food Cart Challenge”. 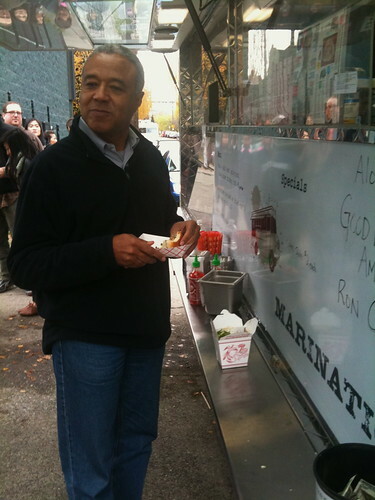 GMA Weekend anchor Ron Claiborne (above) taped a segment at Marination Mobile during the truck’s weekly stop in Fremont (132 N. Canal St) on Wednesday. Their kalua pork taco is the dish chosen to represent. The segment will air tomorrow morning on Good Morning America Weekend on KOMO starting at 7 a.m. A guest chef will recreate the signature dishes from all four finalists (the other three are reportedly from Portland, New York and Virginia). A judging panel and online votes will then determine the winner. Voting is on Saturday ONLY from 8 a.m. to 5 p.m. This is where you’ll need to go to vote online tomorrow. The winner will be announced on GMA Weekend on Sunday morning. Thanks to Emily for the photo and Jeremiah for the tip and help!